Odocoileus virginianus, “the Virginia deer,” or simply “whitetail,” is the most pursued big-game species in North America. From a population low of 500,000 at the turn of the 20th century to an estimated 35 million today, they're the most widespread large mammal in the Western Hemisphere. 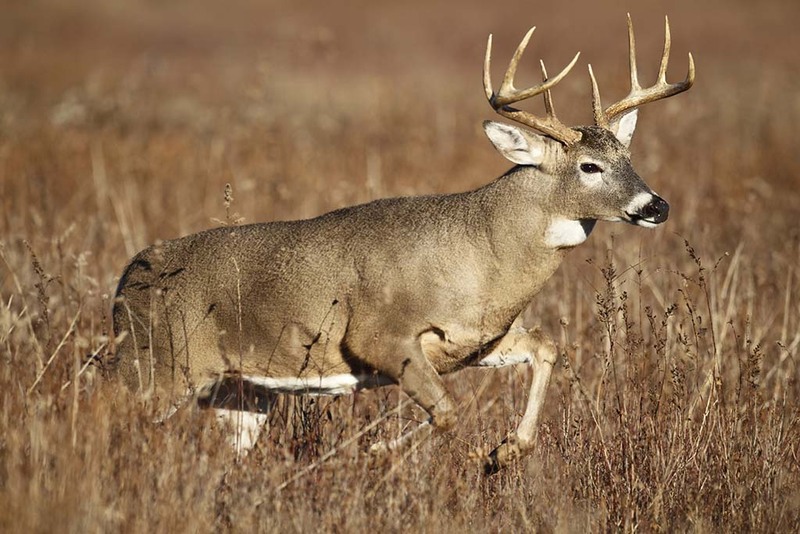 Whitetails are hunted in the South, as far north as the Canadian prairies, in the East, Midwest and parts of the American West. Body weight and antler potential vary by region, with smaller-bodied deer typically found closer to the equator, and larger bucks—some pushing 300 pounds—in the northern latitudes. Antler size is not directly correlated to body weight, as anyone who’s hunted small-statured, top-heavy bucks in Texas will testify. Boone & Crocket, the official keeper of North American game records, consider all whitetail one scoring category, except for the diminutive Coues deer of the Southwest. More record book deer—based on antler size—have been taken per square mile in Buffalo County, Wisconsin than anywhere else. More than 10 million deer hunters take to the woods, field and farm in pursuit of whitetail every fall. In most of the U.S. and Canada, does go into estrous in November, making “the rut” primetime for seeing big bucks from a treestand.